Stowa - Antea Creme, Antea Black, MO, Marine Automatic, Flieger. Cloudy days are the best for blued hands. Renisin, cheapshades2012 and RightYouAreKen like this. Last edited by naunau; June 16th, 2012 at 20:00. Renisin, KUNISMAN and keytujd like this. 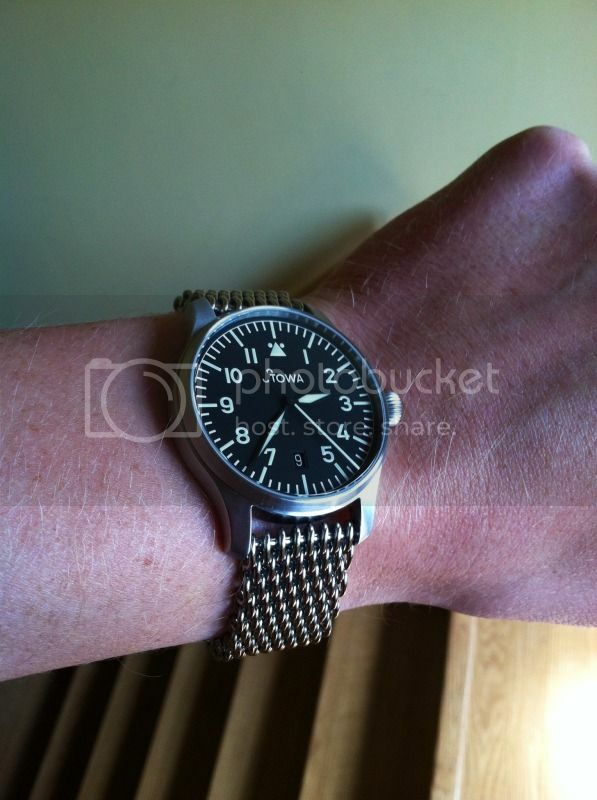 Is this the Stowa strap? How did you manage to get the patina? Renisin and cheapshades2012 like this. Please excuse the exposed lug screw bar. Having being trying out this PVC rubber strap. Trimmed it from 22mm to 20mm previously to fit my Flieger, but now I am putting it on my Prodiver to get a feel of it. Turns out to be extremely comfortable and much better than the BC rubber strap. Now waiting for a new (same) one but with orange stitching to arrive. Renisin, flame2000 and Spoonsey like this.